For you, Libra, this month presents opportunities to focus on travel, higher education, and anything international as well as your career, any form of recognition, and your public standing. For you, Libra, planets in Gemini always activate your ninth house of international connections, long distance travel, higher education, and ways you expand your presence through publishing and broadcasting. The Gemini planets this month can help quicken your mind and refresh your thinking about these aspects of your life. They also can help you analyze relationships and other opportunities to expand yourself and your perspective on the world and all that it can offer you. These energies also may help you lighten up when it comes to travel or working with people overseas, spark new interest in other cuisines or cultures, inspire you to plan a long trip for business or pleasure, or give you new ideas for articles or books you want to publish. For you, Libra, planets in Cancer increase your desire to improve your career because they pour energy into your tenth house of profession, public honors and awards, and status gained as a result of your vocation. This area also governs your potential for leadership and presence in the community as well as the legacy you hope to leave. 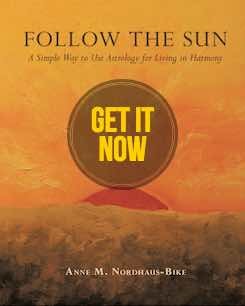 As soon as the Sun enters Cancer, you may feel an urge to advance in your career, start a business, take a new job, or apply for an important award as well as consider a leadership role in your community, become a mentor, or plan for your long term legacy through the work you accomplish in this lifetime. For you, Libra, the June solstice allows you to think about career, jobs you’ve held, and awards you’ve won and how they help you feel secure. It also may inspire you to recall the best parts of your professional life so far and build on them by mastering your profession, seeking leadership opportunities, or perhaps starting a business or foundation to leave your mark in a unique way. For you, Libra, Mars retrograde can help you pay attention to your energy this month and notice how it changes as the retrograde draws near. Your drive to accomplishment may taper off, and you may find yourself desiring nothing so much as a break from the action. With the retrograde occurring mostly in Aquarius, with a bit of Capricorn at the end, you likely will experience its decreased energies in your creativity, romantic life, or ability to conceive a child as well as in any activities related to home, family, or real estate. If you have children, you also may see a significant slowdown in their activities or desire to try anything new. Give yourself and everyone else in your life permission to ease up or suspend certain activities, take a break from certain people if you wish, and plan a vacation or reduce your hours on the job. These steps will ensure you come back rested and ready for action when the retrograde lifts at the end of August. June 1 and 2: Mercury in your international and higher education house angles perfectly with Mars in your children house, so a child may have an opportunity to study abroad or hear news from a college or university. These areas also affect your creative projects and large scale publicity, so if you’re in a creative field your work may receive notice in an important publication, or you may hear about an international exhibition opportunity or reach a licensing agreement with someone overseas. Also, Venus, your ruler, in your career area will make the same perfect angle with Jupiter in your earned income house and with Neptune in your work sector. Your famous charm may earn you notice from higher ups at work or in your field, and you may see material gains in the form of a raise, promotion, or special perks. These three houses also relate to vocation and "right livelihood" in the sense of what we’re truly called to contribute through our work in a particular incarnation. These alignments and these three planets in particular can inspire your wish to align what you do with your spirituality, so make time for meditation about how you earn, your work, and your career. June 5: Venus in your career area will face off against Pluto in your home house, suggesting challenges balancing work and family. Relatives and bosses alike may not be sympathetic, so wait to hold sensitive discussions. Instead, harness the Sun and Mercury, which will join together in Gemini and put your persuasive skills on overdrive with everyone you connect to from foreign lands, the court system, immigration offices, newspaper and media outlets, and institutions of higher learning. You will have the power to talk yourself and others into—or out of—anything, so focus on the highest good for all and ease tensions between work and family by suggesting an outing to a lecture or other event at a local college or international arts center. June 6: Both Mercury and the Sun in your travel and education house will challenge Neptune in your work house. Traveling for work or your desire to use company benefits to further your education may hit snags, or you may hear conflicting information that creates confusion. Avoid pushing and use intuition to guide you through this muddle until clarity returns. June 12: Mercury leaves your expansion and travel house for your tenth house of career and professional honors. You may hear you’re up for an award, receive news of a promotion or leadership opportunity, or get a request to mentor a colleague. If a project needs your help, new and better solutions may emerge now. June 13: A busy day, with a new Moon in Gemini lighting your long distance travel, international matters, and education house. The next two weeks bring your best time all year to start anything new related to major trips, especially overseas, as well as resolve immigration or visa concerns, sign up for a university course, apply for a degree program, and expand your perspective by connecting with people and cultures different from your own. Also, Mercury, Gemini’s ruler, will align helpfully with Uranus, bringing brilliant and even psychic insights to help refine all plans related to career. In addition, Venus will enter passionate Leo, bringing love and kindness to your house of friendship, business associates, and charitable activities. Call your friends and get together at an arts venue, invite a potential client or new network connection to lunch at an upscale restaurant, or volunteer for a fundraiser or initiative to support local artists. If you’re unattached, look your best, as your stylish good looks can attract an admirer, perhap a friend who wants to get serious. June 14: Venus in your friendship area tangles with Uranus in your shared money house, suggesting sudden financial developments affecting you and a friend. If someone wants you to invest in a business, co-sign a loan, or take any other kind of financial risk, wait to commit until you learn more and be extra prudent about agreements and terms. June 15: Mercury in your career house faces off with Saturn in your house of home and family, so you may need to rethink life balance, or you could receive news about changes that affect your ability to assist an elderly parent or work at home. Wait to speak with your boss so you can strategize and consider long term goals. June 18: Neptune begins its long annual retrograde in your job and wellness house, helping you reconnect with your spirituality and how you express it in daily life through work and fitness. June 19 – 20: Mercury will align beautifully with Jupiter and then Neptune, all in your vocation houses. Make time to meditate because these planets can expand your vision of your professional life and inspire you to pursue your true calling through responsible leadership and compassionate service to others. June 21: The Sun leaves Gemini for Cancer, energizing your tenth house of career and honors. Celebrate this solstice day by inviting your employees or colleagues to lunch or treating them to coffee to show your appreciation of the ways they support your success and contribute to your security. In the evening, revel in time at home with loved ones, honoring their support for your career success, and suggest a walk outside to connect with nature and gaze up at the mysterious sky. Enjoy the next month’s nurturing, caring energies. June 22: The Sun in your professional house connects well with Uranus, bringing inspiration for tapping venture capital or other funding sources for your business or prompting connection with your inner self and deepest passions to fuel career success. June 23: Mercury in your career house challenges Pluto in your home and family house. News at work may create disagreements at home, and balance may be difficult to achieve if family members indulge in power plays. If you need a heart to heart talk with family or with anyone at work, wait to make overtures until this alignment passes. June 25: Your ruler, Venus, will be out of sorts with Jupiter in your personal money area, so if you need a friend to give you a reference or want to invest in membership in a high profile industry association, hold off on taking action. If you’re working on anything related to a volunteer project or networking to gain new clients or a different job, use this day to consider your next move and avoid contacting anyone for favors. June 26: Mars will begin a two month retrograde in your creativity, children, and romance house. Expect slowdowns in all these areas, and if you’re unattached and want to meet someone new, contact someone from your past and suggest getting together. If you’re in the arts, look at past projects for new inspirations. Consider taking a vacation during this time if you can get away. June 27: A full Moon arrives in Capricorn in your home and family house, and with Saturn joined with the Moon and the Sun involved in this alignment, this day may feel draining or demanding, either at home or work or both. See what peaks at this powerful full Moon but wait to take action because you will benefit from operating strategically. June 28: Mercury leaves watery, emotional Cancer for fiery, passionate Leo. Let your mind turn to friendship and humanitarian ideals and indulge your sense of playfulness if you go to a networking event. June 30: Mercury in Leo will bump up against Uranus in your eighth house of shared income. Ideas for supporting a charity or going into business with a friend or colleague may meet resistance from your marriage partner and require more work to be feasible or fit your budget. Be kind to yourself and all concerned by stepping back to achieve better perspective. Happy June, Libra! I wish you a wonderful month!